Mums and parents in general are always concerned and stressing over what to feed their babies, especially when they’ve just started introducing solids to them. And obviously their main concern is allergies. A peanut allergy is one of the 9 most common allergies around the world, and therefore, mums and parents should be extra careful in introducing peanuts to their little ones, particularly, since many children around the world live with a peanut allergy. Children with severe egg allergy or/and eczema are in high risk of being allergic to peanuts. In this case, it’s recommended to introduce peanuts as early as 4 or 6 months old. Children with mild and moderate eczema can be introduced to peanuts at the age of 6 months old, as they are considered in low risk of developing a peanut allergy. Children without eczema or any food allergy have the lowest risk for peanut allergy, and can be introduced to peanut-containing foods along with other solids. 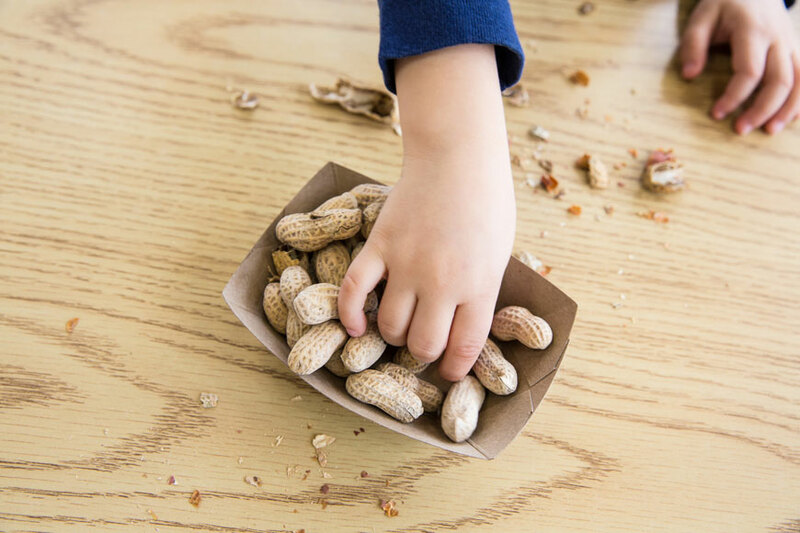 Introducing peanuts early for children with eczema or egg allergy with medical supervision can reduce the risk of developing peanut allergy later in life. High risk children are advised to be clinically tested before introducing peanuts, and based on the results, the doctor can determine the quantity and texture of peanuts to be introduced. It’s recommended to introduce age-appropriate peanuts to babies, as whole peanuts, peanut chunks and peanut butter are choking hazards for infants. Delaying introducing common allergenic foods to your baby does not reduce the risk of having a food allergy. These guidelines and information apply to babies who haven’t yet been introduced to peanuts or peanut-containing foods. If your child already eats peanuts, and hasn’t showed any allergy symptoms, then he or she is not allergic to peanuts.